I’ve been playing all (popular) newly-released MMORPGs since…well, i guess 2009, at least. Age of Conan was the first MMO i bought at release, Warhammer Online, Aion, Rift, Star Wars The Old Republic, TERA, Guild Wars 2, The Secret World and Elder Scrolls Online were next- and these are only those that needed a purchase at release. I was there when each of them launched. Much of this time, i’ve spent thinking about the next big thing. I remember applying to a german multigaming clan for Global Agenda in 2010 stating that i’ll probably not play another “real” MMO before SWTOR. 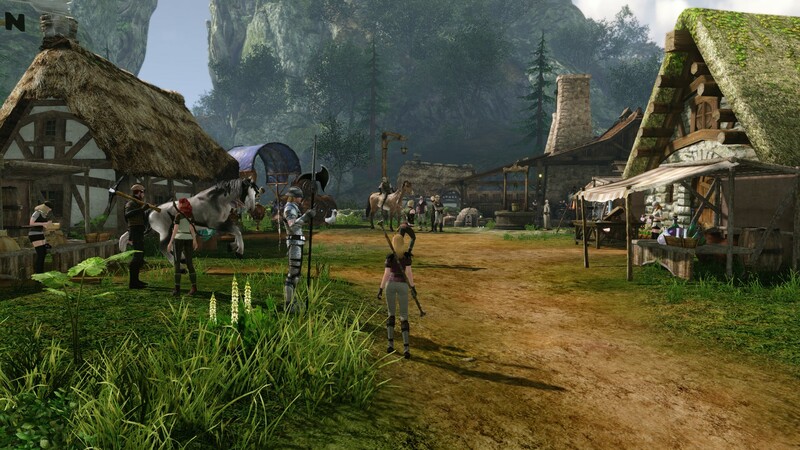 I’ve been looking for a lot of different things- first of all, there was an MMORPG that really impressed me- Tabula Rasa. To this day, this is the MMO i found most fun to play, with the hybrid-shooter-style of combat, the “events” of aliens invading quest hubs and humans fighting back or attacking in turn- after all, the Bane were able to take control of quest hubs. I remember not doing any quest for quite some time, jumping around between hubs being attacked by one side or the other just for the fun of it. I also wanted to see “something new”, an open world, non-combat activities and not-useless crafting. So, when an MMO managed to capture some of the spirit of Tabula Rasa’s invasions, i was in. Rift’s rifts and invasions were the only reason i bought into it- i did the tutorial and found it boring, but then i came to the point of the rift opening up and i was sold. Unfortunately, Rifts weren’t that important and dangerous at release, but they were nerfed additionally, so that was sad. My next “saviors” would be Guild Wars 2 and ArcheAge. For different reasons, they didn’t fit the bill either- GW2 failing to capture the spirit of Tabula Rasa while- to me- playing more like a to-do-list than a game about exploration and such, ArcheAge, well, because housing doesn’t mean a thing if you can’t get a plot and being too expensive, especially when housing wasn’t an option. 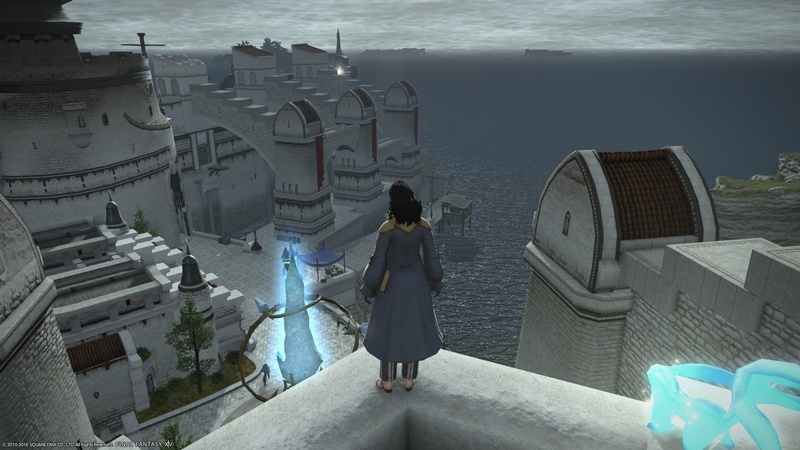 So that’s when i basically stopped looking for that MMORPG and started to go with the flow- unwillingly, at times, because i still wanted to settle down somewhere, even trying to “force” myself into staying true to one of the MMORPGs i played. The reason it worked for six months in ESO is my guild. After all, i’ve decided to create another community- after having created one already and leading multiple guilds from 2008 on. I want this guild to become what i can’t find in any singular game- the MMO home, so there’s a certain investment to be made there. However, while it began like that, the game quickly grew on me- i started to recognize items, landmarks, mounts and saw goals popping up clearer than in my time dabbling in the game. I witnessed the strength of Cyrodiil PvP, the great dungeon experience, the fun of trying to build a character to my needs. Slowly, i began diving deeper- i started listening to an ESO exclusive podcast, Tales of Tamriel and over time, it replaced my listening to more generalist podcasts. More and more, i began reading on Tamriel Foundry instead of Massively and the other generalist sites. With their datamining, opinion pieces, general news and other content, they were much better suited to my gaming habits at that time. As a result, i became more knowledgeable, which is a good achievement for someone playing around 10 hrs/week (but possibly spending the same time to read and write about MMORPGs), and my interest in other games began to shrink. When you’re an MMO hobo, every news item gets to you- new feature in SWTOR? Gotta try that. An update to Blade and Soul, Rift, FFXIV, The Secret World? All reasons to dive back. As i became more and more invested in ESO, these news couldn’t touch me as much- sure, i still want to see everything Lotro and TSW are offering, but i knew my limits better and i wanted to see and play ESO first. In the end, i didn’t pay much attention to other news items any more, at all. I simply wasn’t interested- they weren’t “my” game and so they held no sway over me. This was good, because i could put that time i usually invested in keeping up with the news, contemplating about whether to rejoin/download/subscribe to/buy what the other games offered, into Elder Scrolls Online and our guild. Now that i’ve added two additional MMORPGs into the rotation, there’s another thing- it is well-known and i’m experiencing it again: “bad conscience” and the question of what to play on any given night. 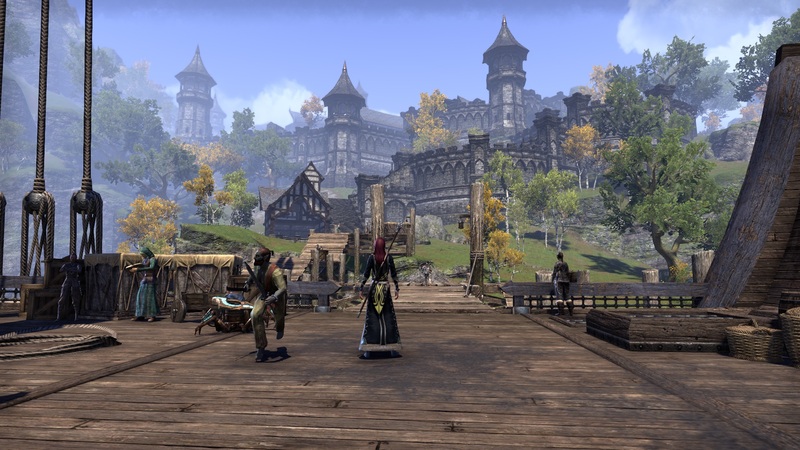 I’ve been planning to return to Elder Scrolls Online for over a week now, but so far it hasn’t happened. First, there’s real life. Some nights i prefer to take a walk, read something, going to bed early or something else. Before i know it, i’m thinking about how i haven’t logged into one of the games for a week or so- and then, the decision on what to play gets more about what i need to play to get some value out of my subscription and less about what i’m in the mood for. I need to get a hold on that, somehow, because it’s not right. However, i can’t see myself kicking one MMORPG out anytime soon. Why not keep it this way? On the other hand, some days, i liked to play something, but it wasn’t Elder Scrolls Online. The thing with ESO is that it needs some dedication on a session level, in my opinion. It’s not a game i log into for 30 minutes or so- it needs to be an hour, at least. With summer being summer and our recent move, i didn’t have as much time but i still wanted to play something. I feel like i have stumbled upon a good combination now- ESO, FFXIV and WoW are all good MMOs i play for very different reasons.